There’s a determination that drives everything Sally Fridström does and it is what leads her professors to believe she’ll succeed no matter what she pursues. That drive is just innate in Fridström, a senior finance major and member of the UCA women’s golf team. Whether on the course or in the classroom, she wants to succeed and be the best. Last summer, Fridström had the opportunity to showcase her abilities at The Accelerator, a 28-day boot camp at Vanderbilt University in Nashville. The camp, offered through Vanderbilt’s Owen Graduate School of Management, puts college students and recent undergraduates in front of companies, ranging from startups to multi-national firms, to work through real-life business problems and provide consultation. “I was fortunate to collaborate with two teams of about eight people, which provided more than 160 hours of consulting work for various companies, including Google Fiber,” said Fridström. Participants also took part in MBA-level coursework in branding, design, economics, product development and more. Fridström said the wide variety of business classes she’s had through the College of Business’ foundation and core requirements, which exposes all business majors to many disciplines — including accounting, finance, logistics, information systems and more — helped her settle into her advanced coursework. Without the requirement to explore different realms of business early in college, Fridström might not have found her niche in finance and marketing. She began as a general business major, but the foundation and core requirements exposed her to fields she enjoyed immensely. Fridström decided to major in finance and discovered an interest in marketing through time in Woodroof’s courses, and ended up choosing it for her minor. Learning the art of persuasion, how to carry yourself and present your brand are all aspects of marketing she enjoys. “It’s super interesting,” she said. Once she graduates in May, Fridström is concentrated on getting her master’s in accounting and ultimately becoming a certified public accountant. She was recently accepted to Vanderbilt University’s Master of Accountancy program in the Owen Graduate School. Long-term, Fridström would like to be a financial advisor for athletes. An athlete herself, Fridström sees a clientele she identifies with and can help navigate financial decisions. “Whatever she decides, she’ll be equipped to do it,” said Woodroof. Paul Bradley wanted a sophisticated, technical education in a team-oriented setting. He found both in the UCA College of Business and the Department of Management Information Systems. A Conway native, Bradley grew up around computers and in the middle of the internet and dot-com boom. The internet’s influence grew and so did Bradley’s computer skills. He learned how to build applications and develop websites. He took several high school courses to further his knowledge. He also worked for a local internet provider, selling its dial-up network. When he came to the UCA College of Business in 2002, the MIS program allowed him to grow even more. Real-world situations presented in the classroom allowed Bradley to gain a deeper knowledge of the concepts and applications discussed. When he returned in 2007 to pursue an MBA in the college, Bradley found the same benefits. Only this time, he could directly apply what he learned in his career. Now, Bradley works for Edafio Technology Partners as its Conway Market Leader. The company has offices in Conway, North Little Rock and Rogers and serves as an IT managed services outfit, supporting its clients’ networking, server and infrastructure needs. Bradley continues to see the benefits of his undergraduate and master’s education at UCA and the College of Business play out in his professional life. 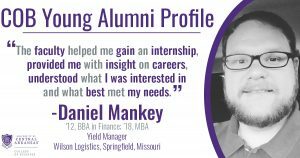 Since high school, Daniel Mankey knew he had a passion for commerce and business. “I was fascinated with financial markets and how corporate finance was related to them,” he said. Dividends, exchanges, indices, IPOs, volatility, yields, rallies and margins were all terms Mankey began to learn and desire to know more about. It is what led the Conway native to UCA and the College of Business in 2008 to major in finance. Through guest speakers and coursework, he became aware of all the ways his love for fiscal matters could be applied across business. One of those areas was logistics and supply chain. He interned during his senior year at Maverick Transportation in North Little Rock as an extended operations representative. With each day, as he helped the trucking company’s clients and ensured on-time deliveries, Mankey saw his niche in the industry forming. His work blossomed into a full-time position at Maverick when he graduated in December 2012. Mankey worked more than four years at Maverick as a pricing analyst completing bids and proposals, special projects, producing price recommendations and consulting with clients across the state and region. Now, Mankey is yield manager for Wilson Logistics in Springfield, Missouri, where he ensures communication between pricing and sales teams is efficient, tracks pricing performance and the impact on profits and margins, coordinates annual pricing efforts and oversees pricing strategy developments. His education in the College of Business paved the way for his advancement thus far, said Mankey. “Some of the concepts were harder to grasp until you got into that first job, but it was like a delayed benefit because a lot of those concepts clicked once I saw them in my career,” he said. Not only were the concepts and work he did in class beneficial, but the relationships he forged with professors as well. Those relationships were beneficial again when Mankey returned in 2017 in the Master in Business Administration program. “I saw an opportunity to grow through the MBA program, and have it impact my job,” said Mankey. The faculty, including Mark McMurtrey, Ph.D., director of the MBA program, helped Mankey carve out a degree that would benefit his career. 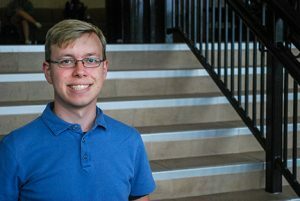 Noah Heffron discovered the field of Management Information Systems as a high schooler enrolled in the UCA/Acxiom IT Careers Camp and never looked back. Heffron, a senior in the UCA College of Business’ Department of Management Information Systems, had always been interested in business and computers, so MIS seemed the perfect blend of those two passions. His connection to Acxiom has blossomed as well. What began as an internship during his freshman year has developed into a near full-time role since. Heffron, of Rogers, said it has been fantastic to have worked at Acxiom throughout college and gained so much experience along the way. It’s the investigative aspect that Heffron enjoys the most about the MIS field. In the MIS Department, Heffron said he’s been introduced to the topics and materials he needs to be successful in his internship and career. 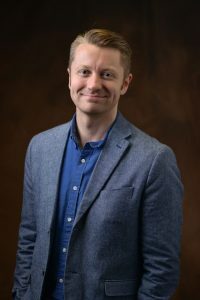 “It’s provided me numerous opportunities for realistic team scenarios, allowed me to practice cooperating with a group of individuals with a unique, yet connected specialties on different types of projects,” he said. Heffron is the departments 2018 Outstanding MIS Major and received a scholarship this fall from Acxiom. Jim Downey, Ph.D., chair of the MIS Department, first met Heffron while a high school senior at the IT Careers Camp and recognized an “amazingly bright” student. Even with his accomplishments so far, Downey said the most interesting thing is Heffron’s working near full-time for Acxiom the last couple of years while still enrolled in the college. The growth and development of his IT skills, from work at Acxiom and in his coursework in the college, said Downey, will set him apart from other recent MIS graduates. Upon graduation in December, Heffron will begin a full-time position with Acxiom as a software tester. 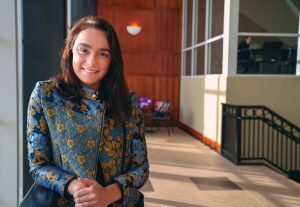 “I’ll be able to take on more leadership roles on our accounts, and with the experience and knowledge I’ve gained in the MIS department and in my internship with Acxiom, I feel exceptionally prepared,” said Heffron. ABF Freight President Tim Thorne visited Doug Voss’, Ph.D., associate professor of Logistics & Supply Chain Management, class Nov. 26 to discuss ABF Freight and ArcBest, as well as give students an opportunity to ask questions. Students also heard from ABF Director of Inside Sales Russ Aikman and Arkansas Trucking Association President Shannon Newton. Newton is also a COB alumna and COB Advisory Board member. The afternoon served as a unique opportunity for COB students as they heard from three leading voices in the logistics and supply chain management industry. Check out the video below to learn more. Students from the UCA College of Business’ EFIRM Department visited the downtown North Little Rock branch of U.S. Bank on Nov. 28. The evening was led by Regional President and College of Business alumnus Mike Richardson, and allowed students to see the opportunities available in banking and at U.S. Bank, including retail and commercial banking, wealth management, auditing and loans. Check out the video below to see what some of the students thought of the visit. University of Central Arkansas College of Business alumni Robert and Lauren Redfern have created an endowment to provide continuing education, training and professional development for faculty members in the college’s Department of Accounting. The Robert and Lauren Redfern Family Faculty Enhancement Endowment will be distributed annually and be used for faculty expenses including continuing education, travel, research, and professional conferences. Robert and Lauren Redfern and their son, Spencer, have accounting degrees from the UCA College of Business. Because of their deep connection to the university and college, Robert Redfern said he and his family wanted to give back to a program that meant so much to them. 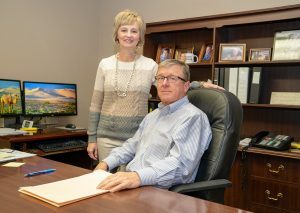 Robert and Lauren Redfern both work at the family-owned firm, Robert R. Redfern & Co., which has offices in Danville and Atkins. “God has blessed our family immensely and we want to show our gratitude to Him by sharing with others,” said Lauren Redfern. Robert Redfern is a certified public accountant and served a five-year term, which ended in August, on the Arkansas State Board of Public Accountancy. He is also an 11-year member of the Danville Public School District Board of Education. He is a member of the American Institute of Certified Public Accountants, the Arkansas Society of Certified Public Accountants, Chambers Bank Board of Directors and Danville Lions Club. Lauren Redfern is the firm’s office manager and accountant. 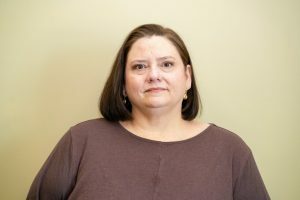 She works with many of the Danville individual and small business clients regarding their bookkeeping and payroll, as well as managing the firm’s day-to-day operations. The Redferns have four children: Jenny, Clay, Spencer, and Nicholas.